Once your order has been paid via PayPal you will receive an order confirmation email. The goods will be then prepared for shipping within next 5 working days as our team put an emphasis on safety of goods during shipping. Shipping, handling and packaging charges are based on actual costs that may vary accordingly (please, see table below or contact us for an exact quote). Goods can be shipped anywhere in EU, US, CA. For other destination, please send us an email. All goods is shipped via UPS / FedEx. As soon as our courier receives the parcel, you will receive an email containing the tracking number and related courier details. The product will be delivered to the address provided in your order. If there is a delivery address change you must notify us before the parcel has been sent. Palletised items (L-XL items) will be delivered to the front of the building only. We cannot offer bringing the pallets inside your home. This is because delivery companies do not insure their drivers to enter private property. Failed delivery because of not being able to access property, due to size of product or owner not being present on the agreed day, may result in a re-delivery charge. Please, pay you attention to any communication from the courier company. Once the courier arrives you must check the goods for any possible damages in front of the driver. In case the goods is damaged we recommend you to refuse delivery. Also, if the box is damaged you need to write ‘Damaged box’ on the driver’s consignment note before accepting the goods. This is due to insurance reasons. Otherwise you have agreed the item arrived in perfect condition and we have no way of claiming for any damage from the courier company. Approximate average rates per item / destination below. Please, contact us to get an exact quote for your delivery. You may cancel your order within next 24 hours from the date your order was placed. To cancel your order you must notify us in writing to contact address quoting your name and order number. In case you change your mind and wish return an order once it arrived in perfect condition, it is your responsibility to return the goods in a pristine and sale-able condition. You will be responsible for the return of the products and any associated cost of return. All returns need to be insured against carrier damage up to the original sale price of the item(s). If you do not return goods within 14 days of receiving your products, your right to cancel will be revoked. Once the goods has arrived at Davint Design, in a pristine and sale-able condition, a full refund will be given, excluding the original shipping charge. These General Terms and Conditions (herein after as the “GTC”) govern the relationship between the seller in the area of IT technologies, the company Davint Design, s.r.o. (herein after the “Seller”) and customers of Davint Design, s.r.o(herein after the “Buyer(s)”). The Buyer is obliged to get acquainted with the General Terms and Conditions of Sale before ordering any merchandise from Davint Design. These Terms & Conditions govern the relationship between the parties of the Sale contract, where on one side figures the company Davint Design, s.r.o., ID No. 01797441, VAT CZ01797441, based in Rybná Street No. 716/24, Prague 1, P.C. 110 00, registered in the Commercial Register of the Municipal Court in Prague under Section C, Inset 211727 as the seller (hereinafter referred to as “Davint Design”) and on the other side, the buyer (hereinafter referred to as the “Buyer”) with a delivery address outside the Czech Republic. Consumer represents a person who acts outside his own business frame or outside the frame of his independent profession by closing the contract, or otherwise negotiating with DaVint Design. Entrepreneur represents a person or business entity that performs separately on its own account and responsibility a profitable activity by trading or equivalent manner with intention of doing so consistently and for profit. As the entrepreneur is considered “inter alia”, for the purposes of consumer protection, any person who enters a contract related to his own commercial, industrial or similar activity, or during the exercise of his own profession, as well as the person acting on behalf of, or on the account of the entrepreneur. By placing an order, the Buyer hereby confirms that he read these Terms and Conditions of which the integral part is constituted by communication prior to the self-conclusion of the contract, the complaints procedure and the Terms of Delivery, the Buyer explicitly agrees with them in a version valid at the moment the order is dispatched, and understands the English version of these documents without any objection. All prices are contractual. The on-line e-shop always shows actual prices valid. The Buyer can close a contract by accepting the contract proposal presented on Davintdesign.com by placing required goods into his cart, and if he is a registered user, he can buy it faster. Before the Buyer bindingly confirms his order, he also has the right to change the method of payment, as well as the ordered goods and form of delivery, and therefore must check all the data entered into the order. The sale contract is valid only when an order has been submitted, and accepted by Davint Design following the Buyer selecting a method of payment and transport. Davint Design is not responsible for any errors which may occur during data transmission. When the contract is concluded, Davint Design immediately confirms the order by sending an informative email to the mentioned email address of the Buyer. Relationships and any eventual disputes, which arise from the contract, shall be resolved exclusively under Czech law and will be decided by the competent Courts of the Czech Republic. The contract is concluded in the English language. In the event of a dispute about the interpretation of the provisions of the contract, the Czech translation will have the priority. Buyers acknowledge that all goods, licenses and manuals offered by Davint Design are localized for the Czech Republic. By the sale contract, Davint Design undertakes to deliver the goods and allow the Buyer to acquire the property rights, and the Buyer undertakes to take receipt of the goods and pay the purchase price to Davint Design. Davint Design reserve the property rights to the goods, and therefore the Buyer becomes the owner after the full payment of the purchase price. Davint design delivers the goods, and all related documentation to the Buyer, and enable him to acquire the property rights to the goods in accordance with the contract. Davint Design sends the purchase subject to the Buyer in the agreed quantity, quality and design. 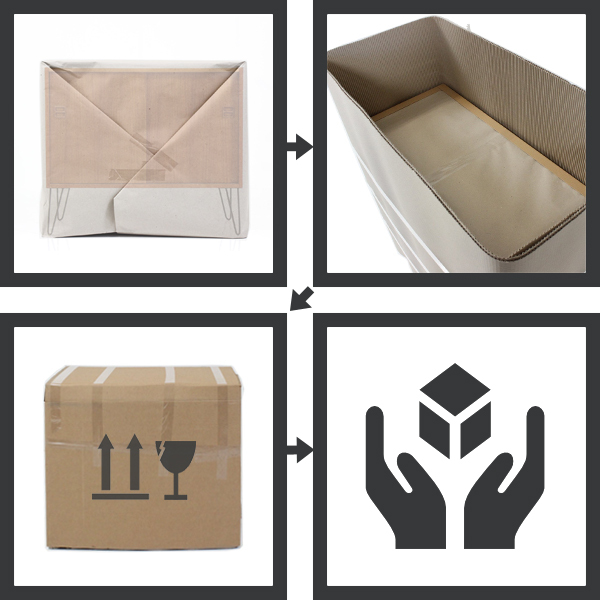 Unless it is directly stated how the goods should be wrapped, Davint Design custom wraps the goods; if there are none, then by the necessary means for maintaining the goods and its protection. Davint Design arranges the goods for transportation in the same manner. Davint Design declares that all personal information is confidential, will be used only for the purposes of the execution of the contract and marketing events, and will not be otherwise published, disclosed to any third person etc. with an exception of the situation related to the distribution or payment relating to ordered goods (mentioning of the name and the delivery address). Davint Design proceeds so that the subject of the data will not suffer any infringement of his rights, especially human rights, and also shall ensure protection against unauthorized intervention into the private and personal life of subjects. Personal information that is provided voluntarily by the Buyer to Davint Design for the purposes of order fulfilment and marketing events are collected, processed and stored in accordance with the valid laws of the Czech Republic, in particular with the Act No. 101/2000 Coll., on the protection of personal data, as amended. The Buyer gives the consent to Davint Design for the collection and processing of personal data for the purpose of fulfilling the subject of closing sale contracts and for marketing events (esp. for sending of commercial communications etc. ), and this will be possible until a written statement of disagreement is sent to the address of Davint Design, s.r.o., ID 01797441, Rybná 716/24, 110 00 Prague, 1. A written statement can also be submitted in electronic form in this case.. The Buyer has the right for an access to his personal data and to correct them (through the stated contact form including the right to request explanation and removal of a defective condition and other legal rights to the data). Orders can be made by e-shop, Davintdesign.com. Davint Design recommends the Buyer places orders by e-shop through the Buyer’s profile registered at Davintdesign.com. Only Buyer is entitled to pick up the goods. This person must identify by valid ID or passport. The Buyer is entitled to choose a type of transport. Davint Design is obliged to send a purchased goods within 5 days from the payment of the price of the purchased goods. These General Terms and Conditions, including its components are valid and effective from 6st October 2014.